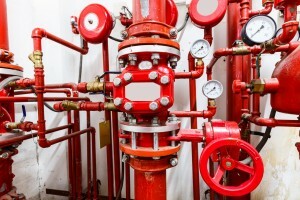 Fire Prevention vs. Fire Protection: What’s the Difference? 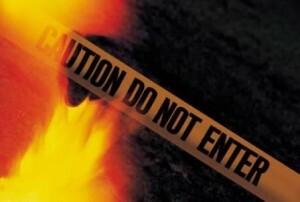 For any property owner, the prospect of fire is a constant concern. Protection from fire damage must be top-of-mind when it comes to safety concerns; not only is there the potential for your business to be irredeemably damaged, there is the chance that life and limb may be harmed too. The bottom line is that not all fires can be prevented. However – there are some things you can do to prevent and protect your business from fire. Let’s take a step back right away and look at those last two words: prevent and protect. What’s the difference between the two? 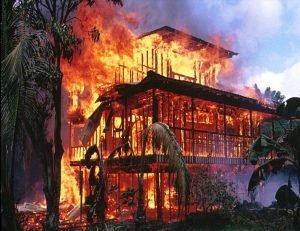 What is fire protection, and what is fire prevention? Here, we’ll break down these two different methods – both integral to maintaining your property and your business. 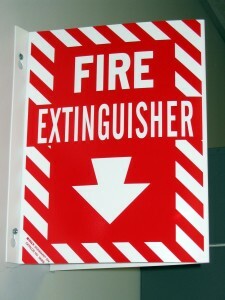 Fire prevention is absolutely essential for your business. This process happens before a potential fire can ignite – it’s all about stopping that fire from ever happening. One of the most effective tools for fire prevention is an inspection; regular property inspections can be used to identify vulnerable areas in your facility, and fix them once they have been identified. Those vulnerable areas can include overloaded electrical outlets, improperly maintained or broken systems, and improperly stored materials. As soon as those problems are identified, it’s vital that the property owner takes the steps to remove these threats – and ensure they don’t ever get to that point again. Using regular inspections helps prevent fires in the business. Fire protection is the second element to the process. Fire protection includes a combination of different fire safety equipment and procedures used to defend your property line from fire. The exact specifications of this method will differ from company to company, but there are general elements that should be found in about every commercial facility. These will include equipment like fire alarms, fire extinguishers, and sprinkler systems. Combined, these fire protection services work together to ensure your property is constantly protected from fire; together, they work to provide the commercial space with the ultimate safety net against this potentially destructive force. Again, inspection of your fire protection service or fire protection services is key. Fire sprinkler inspections should be performed regularly (a 5 year fire sprinkler inspection is vital) and if new elements are needed, fire sprinkler installations are a must. 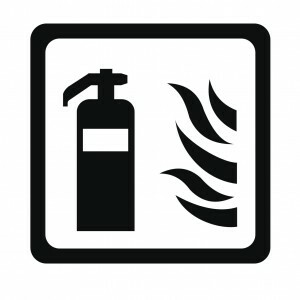 Whether you are looking for a way to prevent fires or protect your property, CJ Suppression is here to help. For more information on protecting your investment, call CJ Suppression today! At CJ Suppression – at the top of the area’s most experienced fire protection companies and fire sprinkler installation companies – we offer an array of portable fire extinguishers, fire alarms, and sprinkler systems to keep commercial kitchens safe. CJ Suppression offers the highest quality alarm systems to keep your business safe from fires and carbon monoxide poisoning. 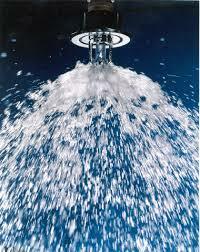 We also offer fire suppression systems as well to help keep commercial fires controlled should they break out. Our trained technicians will work with you to determine which air sampling smoke detection system is best for your business. We will also help install and maintain the system for your commercial building. Do you know what a datacenter is? Datacenters are built specifically to house millions of dollars of expensive electronics and contain custom-built solutions for everything from cooling to power continuity and generation. Due to the 24/7 nature of datacenters, most systems are designed for redundancy and fail-safe operation with cabinets of battery-powered, uninterruptible power supplies reside to complement generators. But what if there’s a fire? Computers present a unique fire suppression challenge – they’re easily damaged by water, are typically contained in a metal box that will shelter a fire from overhead sprays, and they require significant amounts of electricity that presents an electrocution risk for standard suppression systems. Because of this, typical datacenter suppression systems come with two complementary systems – one wet, and one dry. Modern alternatives tend to be either inert gas systems (where an inert gas is pumped into the datacenter to smother the fire by depriving it of oxygen) or clean agent systems, where halocarbon molecules are pumped in and absorb heat, extinguishing the fire. While dry systems are often the first line of defense, due to their ability to extinguish fire without damaging equipment, a second water-based system is typically available. Best practices often dictate that the pipes above the datacenter itself be dry – that is, pipes are not filled with water until a fire is indicated, at which point the pipes are filled. Typical configuration allows the clean agent or inert gas system to attempt to put out the fire long before the heat allows a sprinkler to discharge. 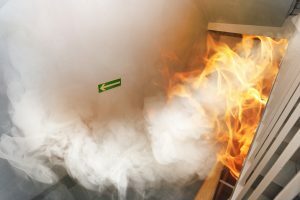 For more information about datacenter fire protection, call CJ Suppression at 888-821-2334 or visit the website at www.cjsuppression.com. Fire prevention is key to ensuring the safety of your property and loved ones. We protect ourselves by equipping our property with plenty of fire prevention tools. But with all of the fire alarms and sprinkler systems, we often fail to think about a very important aspect to our preventative measures – back flow prevention. Back flow testing is incredibly important, not only in the world of fire, but in the aide of our water supply. Back flow preventers are installed in order to keep your pressurized fire sprinkler water line from flowing back into the municipal water line. This is possible if whenever there is a loss of pressure from the municipal line. Back flow preventers eliminated the possibility of polluting the water system through cross contamination. 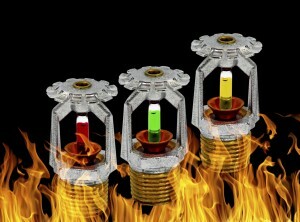 Once you have installed an approved back flow preventer, it is important that it is tested out. This can only be done by a licensed backflow tester. Once tested and approved, you’re good to go! CJ Suppression offers back flow testing, call today if you to schedule an appointment or if you have any questions! For more information about back flow testing, call CJ Suppression at 888-821-2334 or visit the website at www.cjsuppression.com. A fire sprinkler saved the day for a Ridgefield family whose stove caught fire Thursday morning, said Tim Dawdy, Clark County Fire & Rescue spokesman. About 8 a.m., Clark County Fire & Rescue responded to a kitchen fire at 184 N. 43rd Place in Ridgefield. Someone was cooking fries in oil when the stove caught fire and burned the kitchen cabinets, he said. But the home, a condo in a new development in the north Clark County city, had fire sprinklers, which quickly extinguished the blaze before it spread. By the time firefighters arrived, the only thing left to do was mop up the water. “These simple, inexpensive fire sprinklers really do their job,” Dawdy said. Neither condo on either side of the home was damaged. Three adults live at the condo, Dawdy said. No one was injured. There were no children or pets in the home. A fire is a scary thing, especially contained inside a large complex like a condominium complex. Don’t risk the lives of others and your property, install fire sprinklers in your housing or business complex. Fire sprinklers buy you time to get people out of the building and help to suppress the fire keeping it contained to one location.